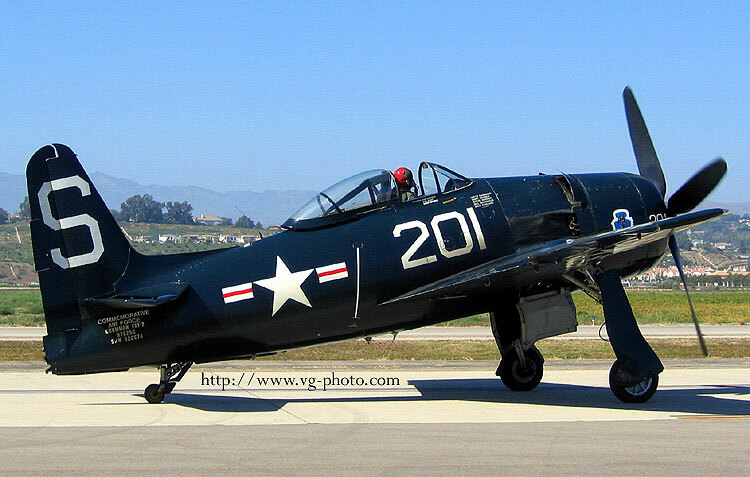 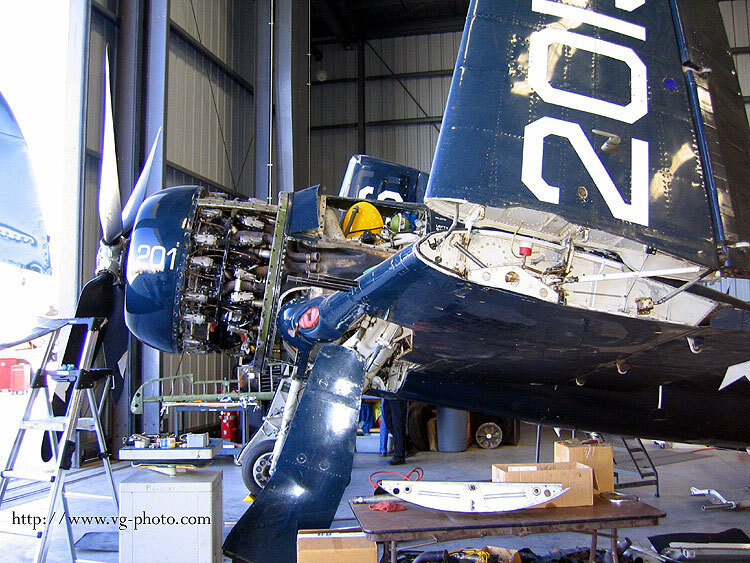 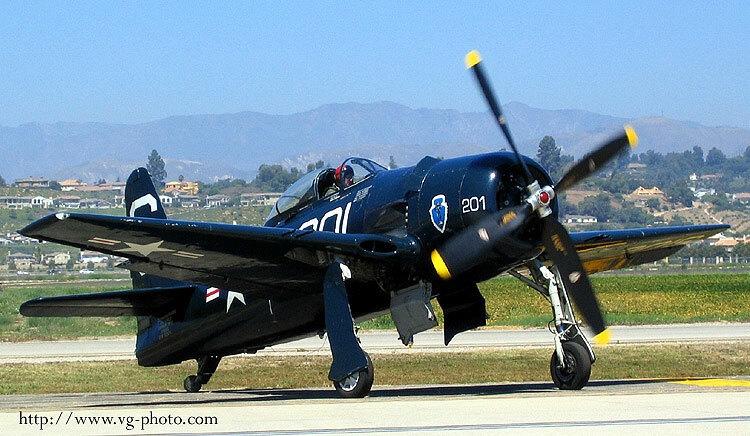 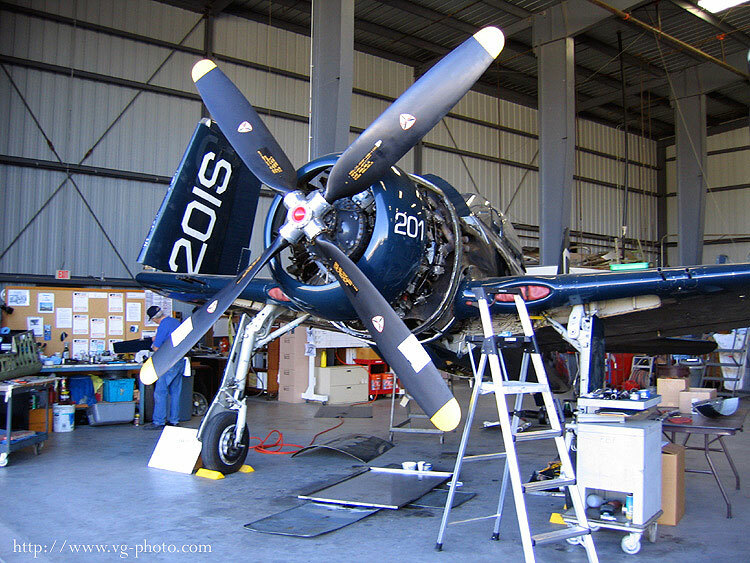 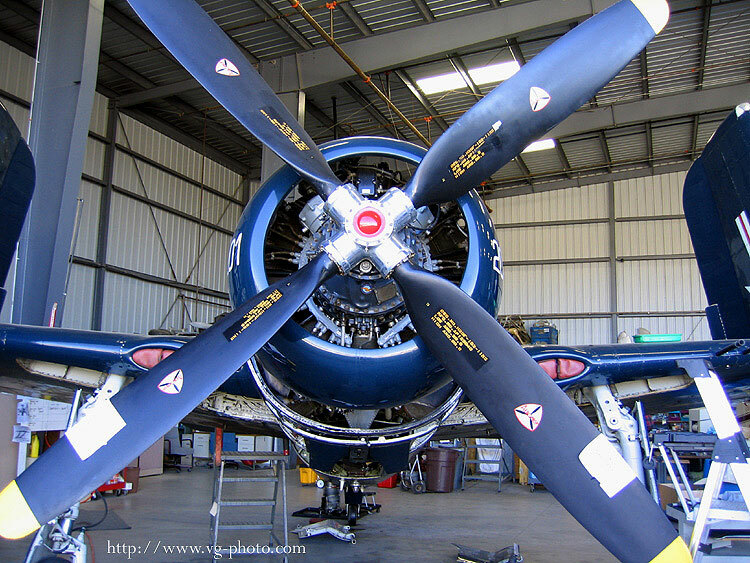 The Southern California Wing of the Commemorative Air Force maintains and flies this Grumman F8F-2 Bearcat (N7825C). 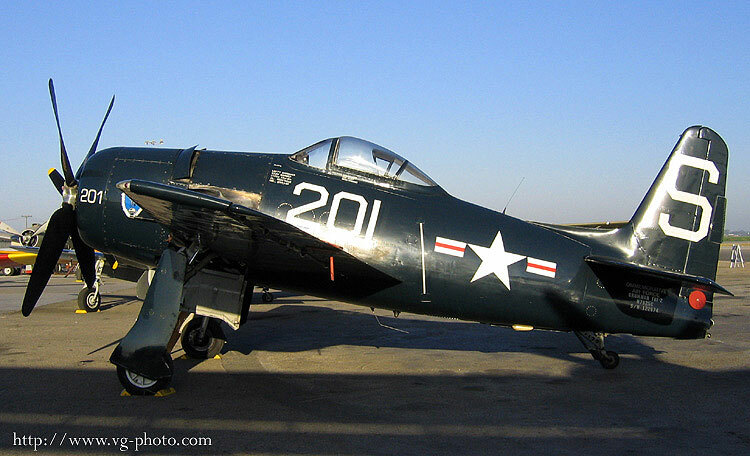 The F8F was a little too late to make it into WWII, en route to the Pacific when the war ended. 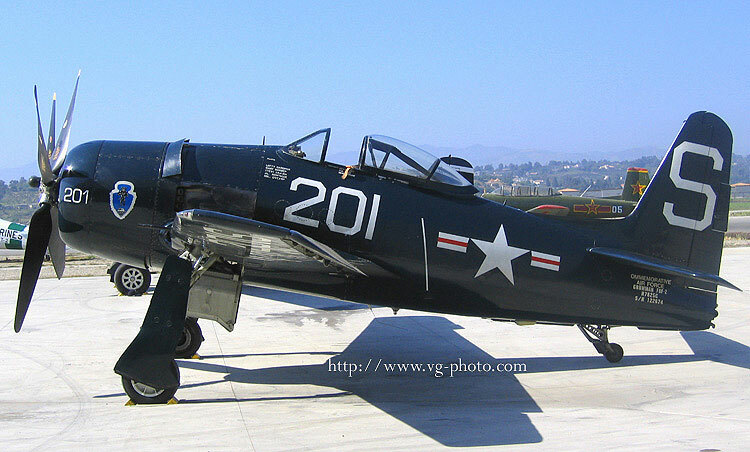 It saw limited service in Korea and was also later used by the French in Indochina. 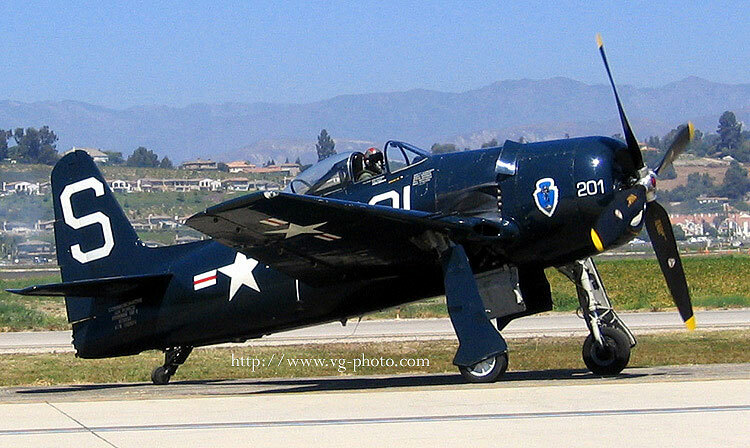 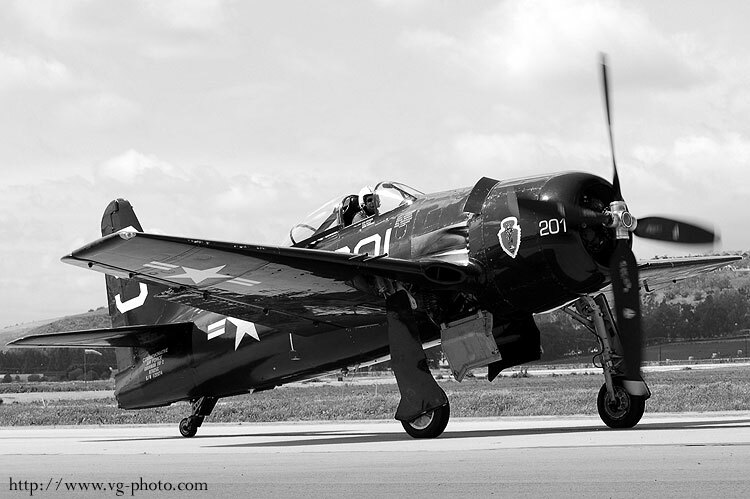 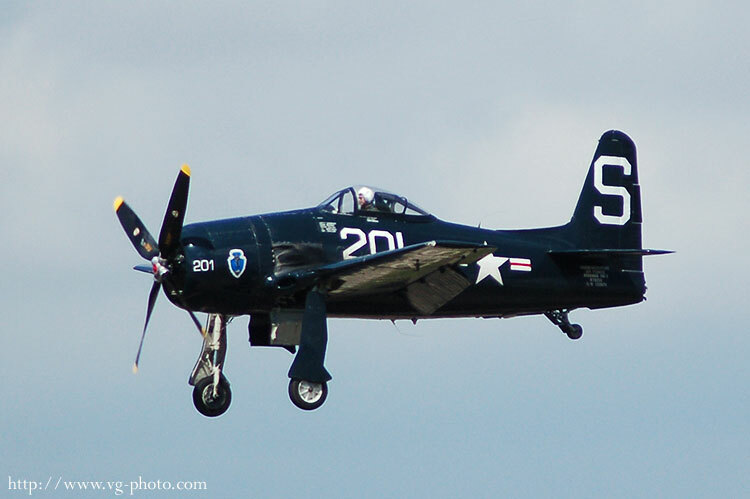 Here are the F8F Bearcat and F6F Hellcat. 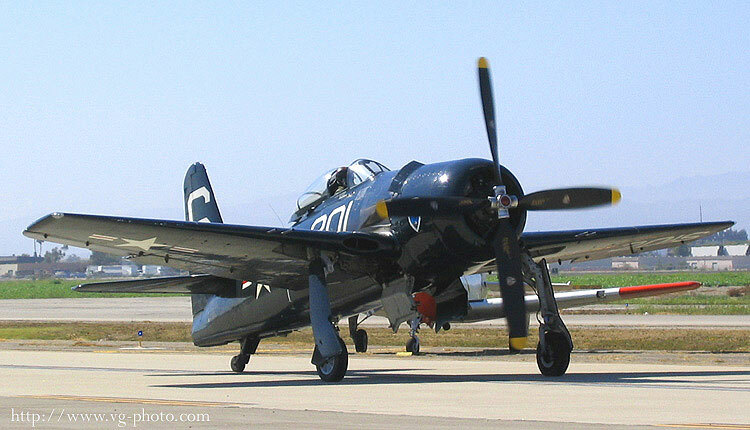 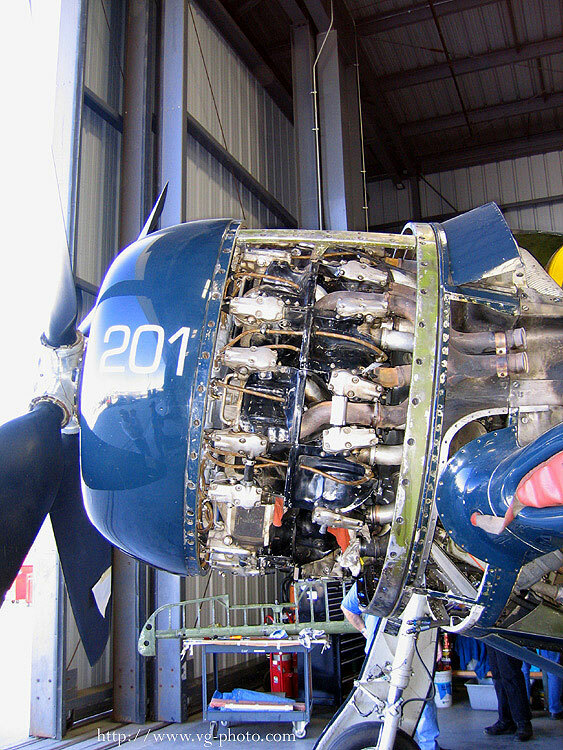 Both are maintained and operated by the Southern California Wing of the Commemorative Air Force.